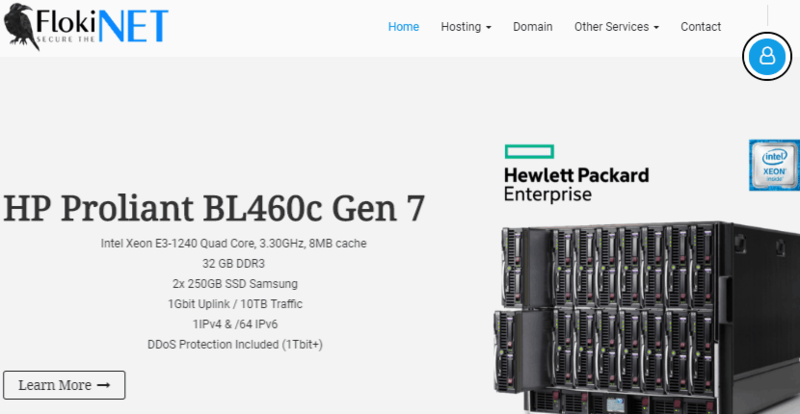 FlokiNET Review 2019: Is FlokiNET a Good Hosting? Founded in 2012, FlokiNET is a domain registration and web hosting company with data servers in Iceland, Finland, and Romania. They provide autonomous, incorruptible, and flexible solutions designed for maximum performance and security, particularly for those looking for greater freedom of speech and journalistic expression for whistleblower projects. FlokiNET was established in the year 2012. Since then, they’ve been providing web hosting and domain registration services to clients across Europe. With data centers located in Iceland, Finland, and Romania, they’re particularly known as a safe haven for freedom of speech, journalistic expression, and whistleblower projects. Starting with shared hosting, you can choose servers in three locations; Iceland, Romania, and Finland. The packages all come with weekly backups, SSD storage, unlimited add-on domains, unlimited emails, and unlimited sub-domains. Bandwidth is, however, only unlimited for the Romania and Finland packages. DDoS attack protection is also only available for the Romania packages. Just like with shared hosting, their virtual server packages are also spread across different locations. Their entry-level package comes with a single CPU Core, 1GB RAM, and 20GB SSD storage with 1Gbit/s uplink. You’re capped at 1TB monthly bandwidth if you host in Finland or Romania, but only 200GB monthly bandwidth if you’re hosting your website in Iceland. These all feature full root access and are easily scalable within minutes. Dedicated servers are also available to customers who need more space or configuration options. Each package comes with iLO remote consoles that help you in the setup and configuration of the servers. Of course, DDoS protection is also provided. Other services offered by FlokiNET include penetration testing, web design, secure VoIP, TeamSpeak, and operational security consulting. All these extra services serve to protect your IT infrastructure and allow you to run your digital operations more efficiently. FlokiNET’s hosting packages are quite affordable and come packed with features that suit different users. Granted, they’re better-suited to those who require greater anonymity and privacy, so their prices have been adjusted accordingly. That said, even with their status as a secure, anonymity-centered hosting provider, their prices are well within the market range. You can even pay on a monthly basis, so they’re perfect for short-term projects. Several payment options are supported, notably, DASH, Bitcoin, Litecoin, OK Pay, Perfect Money, Western Union, PaySafeCard, PayPal, MoneyGram, cash by post, and bank transfer. They don’t provide any refunds or money back guarantees, however. Support is available 24/7. Plus, unlike many other companies, they offer quite a few support channels. You can call the tech support team by phone or Skype, write them an email, or use Signal or Threema (both are encrypted communications instant messaging apps). From what I gathered, they respond to queries pretty fast and provide satisfactory support on a range of hosting issues. With their anonymous sign-up procedures and DDoS-protected hosting, FlokiNET is a good option for groups and organizations that consider themselves easy targets for freedom of speech violations. Wondering how FlokiNET stacks up against other Web Hosting companies? Enter any other Web Hosting company and we will give you a side-by-side comparison.